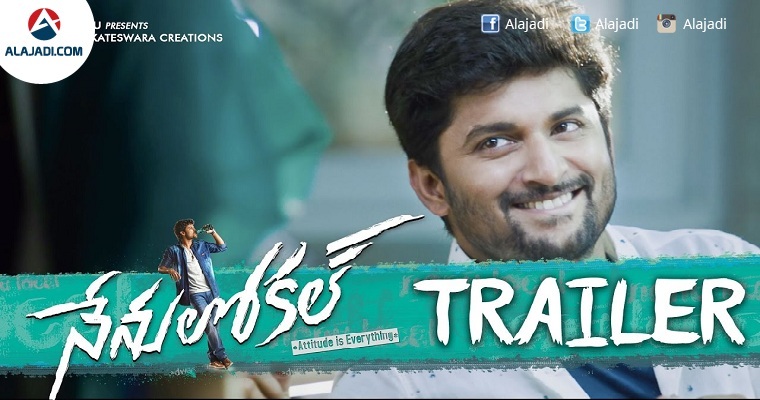 Natural Star Nani’s new film Nenu Local trailer is released on the special Sankranti occasion. After the week show of Majnu, definitely Nani took a much needed time gap before preparing Nenu Local for a release very soon in February. From the very first second of the 111 seconds teaser, Nani showed his natural charm rendering dialogues in his typical style. Then is the actual subject of Nani and Keerthi’s love with some peppy, energetic DSP background music. Nani addressing Keerthy Suresh as POTTI is one of the hilarious moment. Nenu Local is another college love story where the boy falls in love with a girl and tries every possible way to impress her, (and her dad too). Though it is a regular skeleton for any contemporary rom-com, we have to wait and watch how Nani delivers it. However, the last 30 seconds of the trailer hint us at the film being an action treat too, keeping beat with the macho sense of the title Nenu Local. A couple of fights scenes and a car chase are not worth missing. Nenu Local trailer is a clear display of protagonist Nani’s attitude in different shades. Posani, Eashwari Rao as Nani’s parents and Sachin Khedkar as Keerthy Suresh father were also hilarious. Director Trinadh Rao seems to have got a full length romantic, comedy and action entertainer. Let’s see, what Dil Raju has to say on the final release date because trailer is sure to build the excitement.